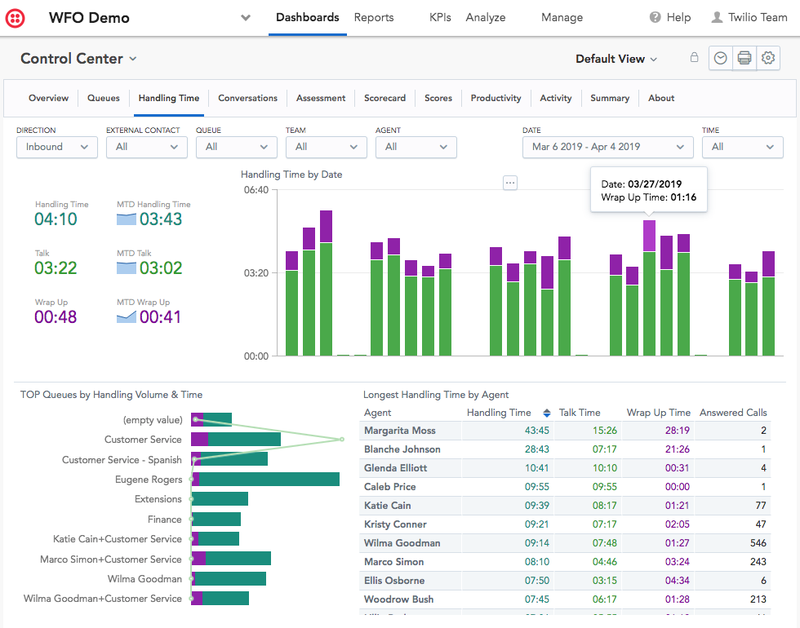 Twilio Flex WFO (WorkForce Optimization) provides insight into conversations between agents and customers with the ability to drill down from top-level KPIs to individual conversations. 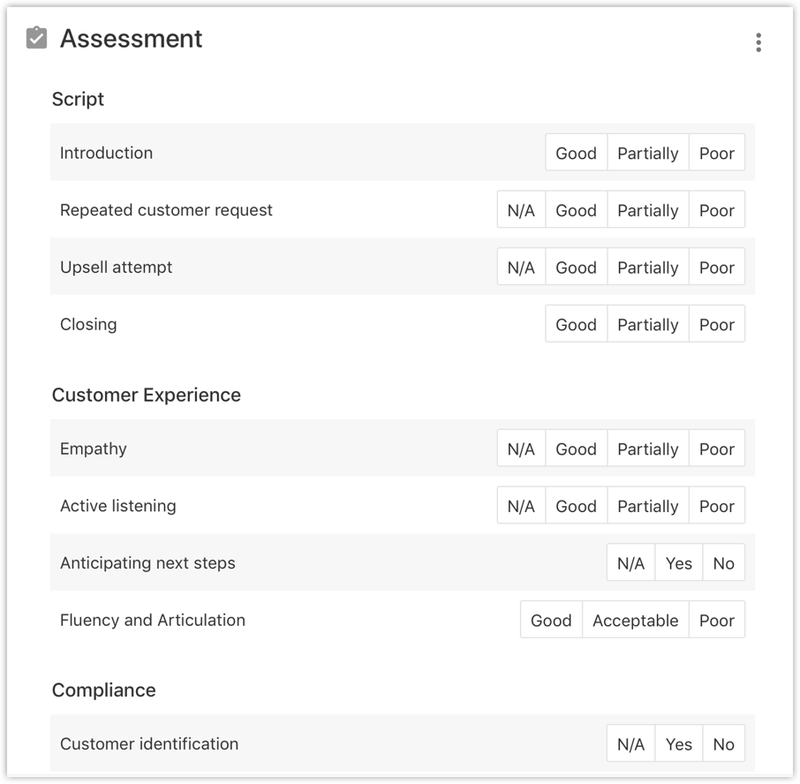 Twilio Flex WFO gives Agents, Team Leaders, and Supervisors the ability to provide feedback and comments and assess conversations. Twilio Flex WFO is not a default feature so in order to enable it it's required to switch to a paid plan in Flex. You can learn more in the article Getting Started with Flex WFO (Beta). 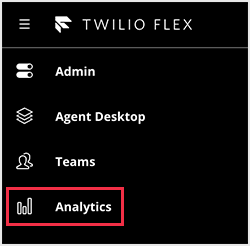 The easiest way to consume WFO dashboards, reports and other insights is from Flex, by clicking the Analytics icon (flex.twilio.com/analytics). Advanced Analytics portal analytics.ytica.com can be used by data-savvy users who would like to create custom reports and dashboards in their organization. In order to access Analytics portal it's enough to first login to Flex and you will be automatically logged by SSO then. Leran more about Dashboards here. Editor analytical permissions are required for custom metrics/reports/dashboards creation. KPIs are the new generation dashboards. They do not have all the features of the current Dashboards. However they provide simple way of quickly building simple responsive and mobile-friendly overview of the critical measures in your contact center. You can setup alerts on KPI metrics that will let you know when a KPI crosses a threshold you watch. You can then act when your attention is needed without regularly check for updates. Learn more about KPI dashboards here. You can easily build your own dashboards and reports. No coding skills are required; you can build tables and charts using our drag-and-drop tool. You can filter and segment KPIs by any data available in Twilio WFO. Learn more about Analyze tab here. Twilio WFO keeps data down to the individual conversation level. Whenever you see a trend, an outlier, or a change in a KPI, you can explore your findings as granularly as you need. A rich visual player helps you navigate conversations swiftly. Learn more about Conversations Player here. Agents, Team Leaders, Supervisors, and other people in your contact center can provide feedback to agents, comment conversations, and assess quality. 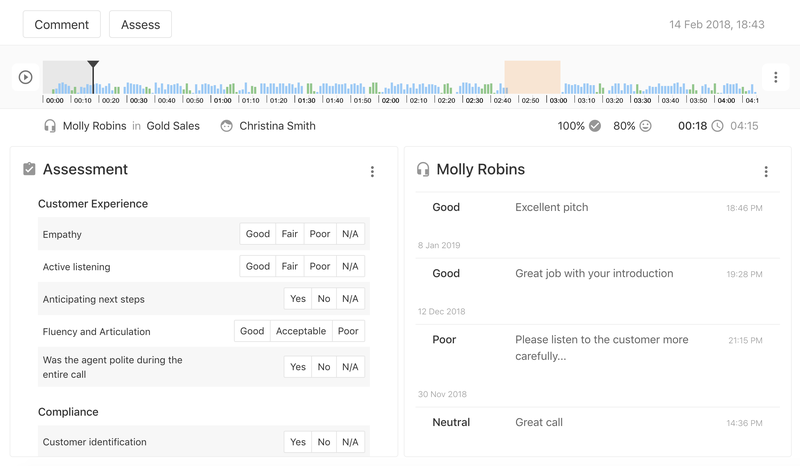 All of this feedback then goes back to analytics so you can keep track of agents' and your company's past performance. Learn more about Assessments feature here.